Michael Goi, ASC, cinematographer for American Horror Story, is leading a free lecture on Saturday, October 26, at the University of New Orleans. This presentation, sponsored by Kodak, is open to all interested parties – not just students. For more info, click here. The Art of Visual Storytelling Tour delivers an intense educational overview of the artistic elements and core principles of cinematography. Taught by Oscar nominee and DP of the Saturday Night Live Film Unit Alex Buono, this all-day class features training that will dramatically increase the impact of your films. Whether you’re a filmmaker or a photographer, you will learn advanced principles for enhancing the appeal of both moving and still images. Louisiana Film & Video Magazine’s networking event, held on April 5th, was featured on a recent episode of the Tammy Bradley Show. Check it out below! And be sure to see the June issue of LF&VM for full coverage and photos from the party. Louisiana Film & Video invites you to a film industry networking event on April 5! 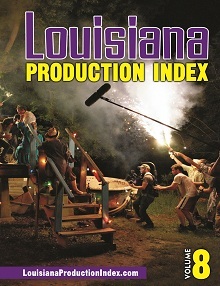 See below for details, and RSVP to contact@louisianafilmandvideo.com. Cinema on the Bayou Film Festival, now in its eighth year in Lafayette, has announced that its opening night film will be a sneak preview screening of Sushi and Sauce Piquante. The film will screen as part of the festival’s opening night fundraiser event, held on Wednesday, January 23, at 6:30pm at Acadiana Center for the Arts in downtown Lafayette. Pat Mire wraps production on ‘Sushi and Sauce Piquante’ with Kris Kristofferson in Bossier City. The film, by Pat Mire, is a feature-length documentary on the life and times of legendary guitarist and Eunice native Gerry McGee. Filmed in the U.S. and Japan with the likes of Edward James Olmos and Kris Kristofferson, the film beautifully captures a piece of rock and roll history that has not been explored until now. The festival also announced new major sponsors for this year’s five-day festival: the French Embassy Office of Cultural Services in New York City, the Consulate General of France in New Orleans, and IATSE Local 478. In addition, beginning this year, the festival will partner with Vidéographe, a film distribution company based in Montréal (Québec), Canada, to not only bring to Lafayette major cutting-edge U.S. and Louisiana premieres, but also to pick up some of COTB’s best English-language offerings. 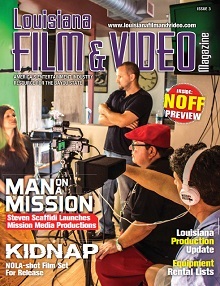 The mission of Cinema on the Bayou, Louisiana’s second oldest film festival, is to advance the understanding of Cajun and Creole cultures and other roots cultures through film screenings, film panels and cultural exchanges among French Louisiana, the United States and Francophone countries of the world, and to present nationally and internationally acclaimed documentary and narrative fiction films and filmmakers with truly original voices. A complete final schedule of events, including film screenings, panel discussions, and receptions and parties, will be posted soon at www.cinemaonthebayou.com.